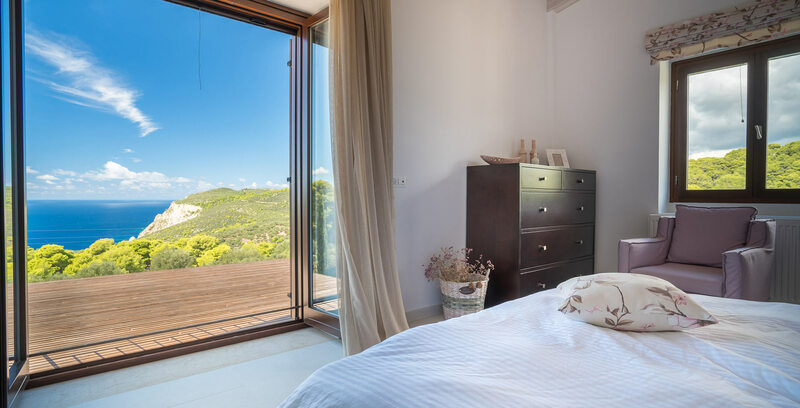 The luxurious villa Kalas Residence in Zakynthos is a 150 m2 detached residence (ground and 1st floor) with all bedrooms situated on the 1st level, while on the ground floor is the kitchen, the living room, the dining room and an additional bathroom with shower. 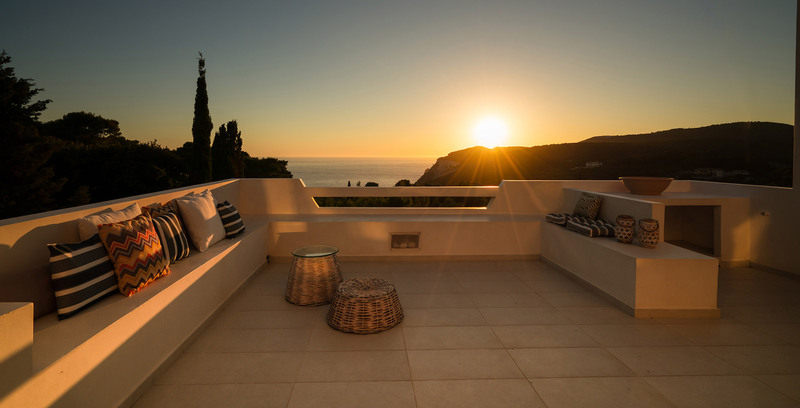 Wood, stone and white tones are prevalent both in the interior and the exterior of the villa. 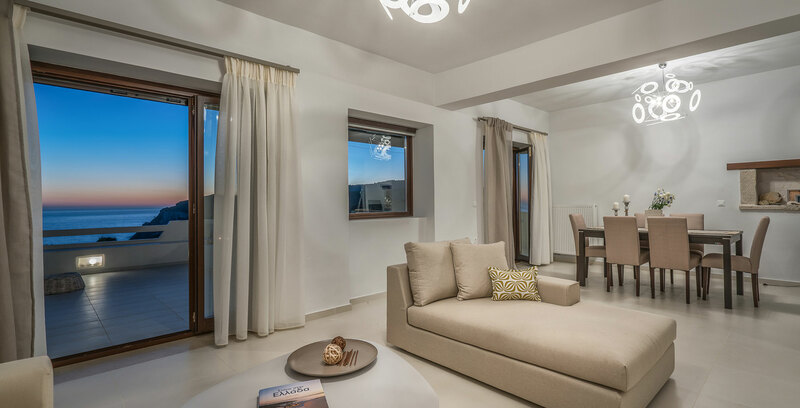 The bright, airy rooms are luxurious and finely decorated. There is a large bedroom with a 32 inch TV and two smaller double rooms. 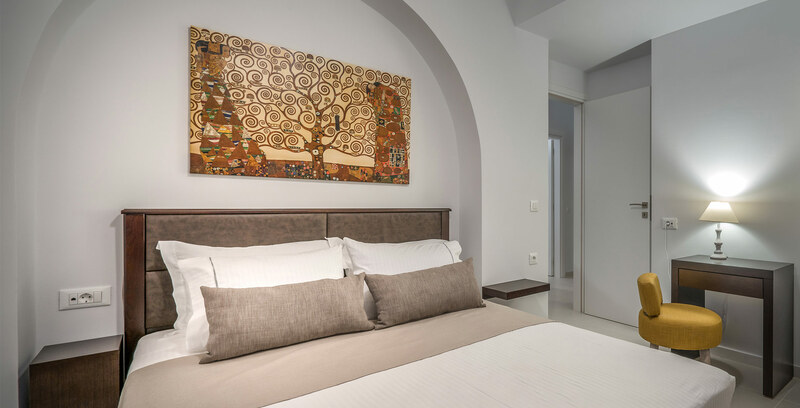 Each bedroom features a double bed and sophisticated furnishings. The soft earthy tones promote the serenity of the interior, which is characterized by an air of simplicity and attentiveness. 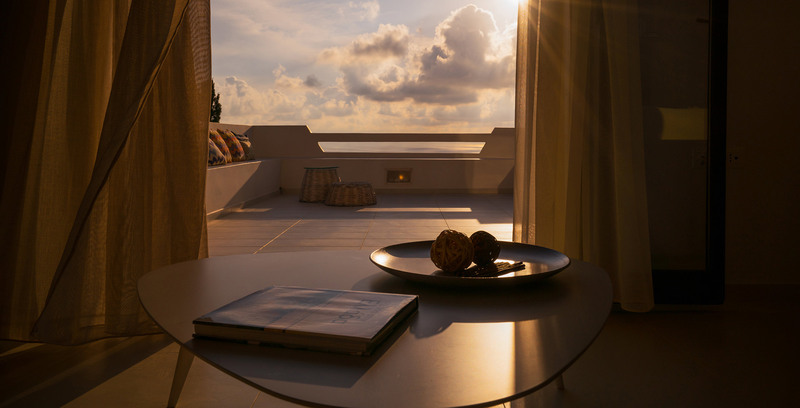 From the first floor, the bedrooms enjoy a view to the west coasts of the island and the small balcony is ideal for sitting and admiring the most beautiful sunset vistas, with the fragrance of pine trees wafting through the air. 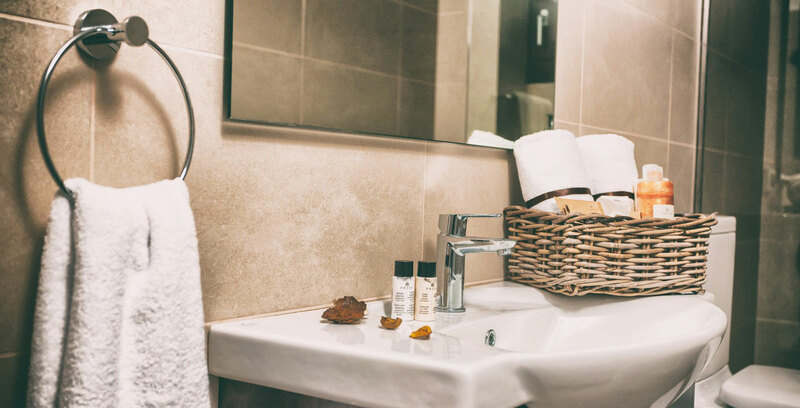 All bathrooms feature a shower and guests are provided with complimentary toiletries, slippers and a hair-dryer.